We travelled with small kids with the car. The room is perfect and the cleanniness is over the expectations. Seems like the room cleaning was more than once a day. Good breakfast, nice playground and pool. But the best thing we've seen ever was the personnel approach, kindness and willing to help in everything we asked and not asked. Amazing people at the desk and kitchen, thank you very much for all. Highly recommended place to stay. Pool was nice, room bigger than expected as it was a self catering apartment. Parking was easy. It was very clean. The apartments were cleaned and serviced daily, including dish washing. Bedding changed every 2nd day and towels when requested. The reception staff were friendly and helpful. Very clean hotel, room was tidy and clean every day Great staff , the ladies at the bar were very nice accommodating all our request, Nice swimming pool area both for kids and adult. I liked they had a laundry room. Lovely kids play area it kept my kids very busy Overall a very nice stay in Frixos. Very clean and family friendly hotel. Spacious room and firm beds. Wonderful breakfast. STAFF - amazing, friendly and very professional. We liked their food very much! EXCELLENT room - modern finishing with the needed facilities 2 swimming pools - one small if you have little or kids who are learning to swim We Will certainly book there every year. I liked everything, including rooms, facilities, breakfast, surroundings. The owners and stuff take a good care about the place and that makes it comfortable and enjoyable. Nice cafes and cafes nearby. There are a lot of constant clients and that matters. Hope to come back. 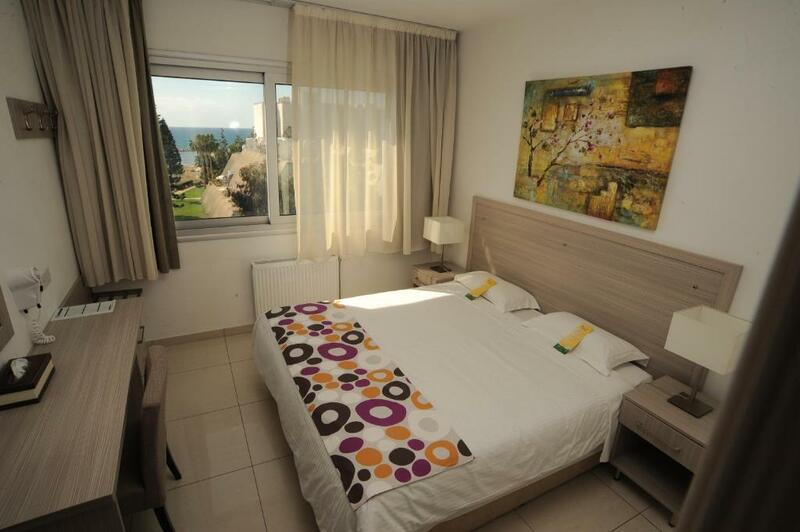 Lock in a great price for Frixos Suites Hotel Apartments - rated 9.2 by recent guests. 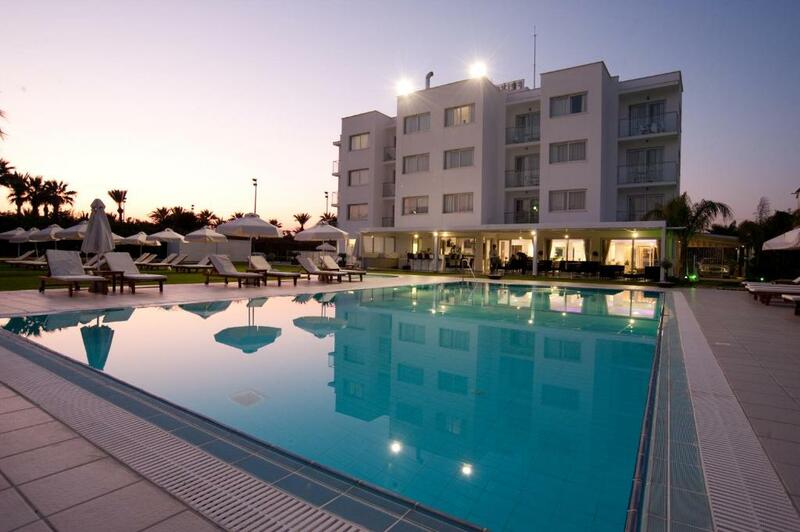 One of our top picks in Larnaka.Just 50 yards from Larnaca Bay Beach, Frixos Suites Hotel Apartments offers a pool with sun terrace. The self-catered rooms feature free Wi-Fi and a balcony overlooking the Mediterranean Sea or the mountains of Cyprus. Each air-conditioned unit at the Frixos is decorated with modern furnishings and a minimalist aesthetic. 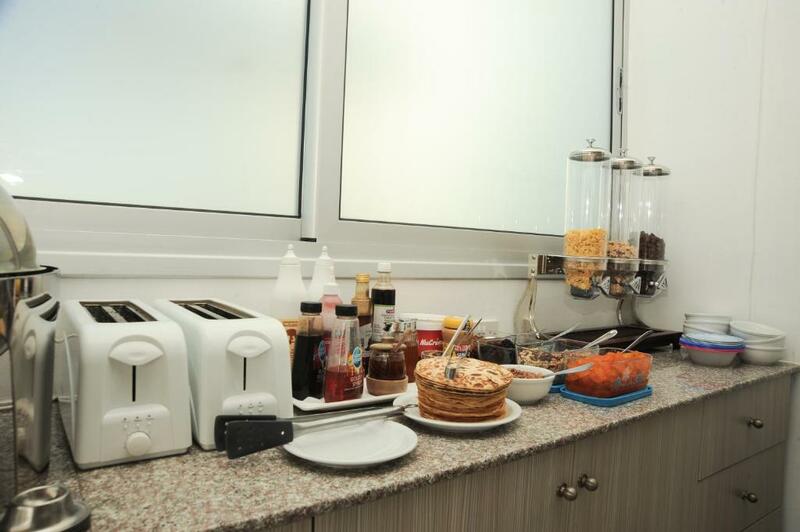 All accommodation includes a plasma satellite TV and a kitchenette with fridge, microwave and kettle. 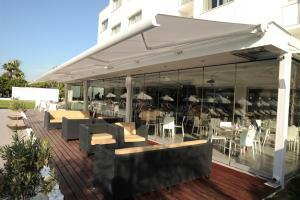 The pool area is equipped with sun loungers, table and umbrellas. Guests can relax at the sauna. A children’s pool and a playground are available for younger guests. Breakfast is offered in the sunny dining room that overlooks the garden and the sea. The pool bar and restaurant serve drinks and snacks until late in the evening. The property is within a 3-minute walk from restaurants, pubs and shops. The resort of Ayia Napa is at 21.7 miles. Larnaka International Airport is 8.7 miles away, while Larnaka's centre is at 3.7 miles. Free private parking is possible on site. 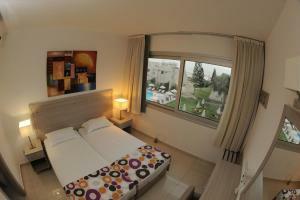 Frixos Suites Hotel Apartments has been welcoming Booking.com guests since 5 Jul 2011. When would you like to stay at Frixos Suites Hotel Apartments? This room has a either inland view or views of the pool and sea. 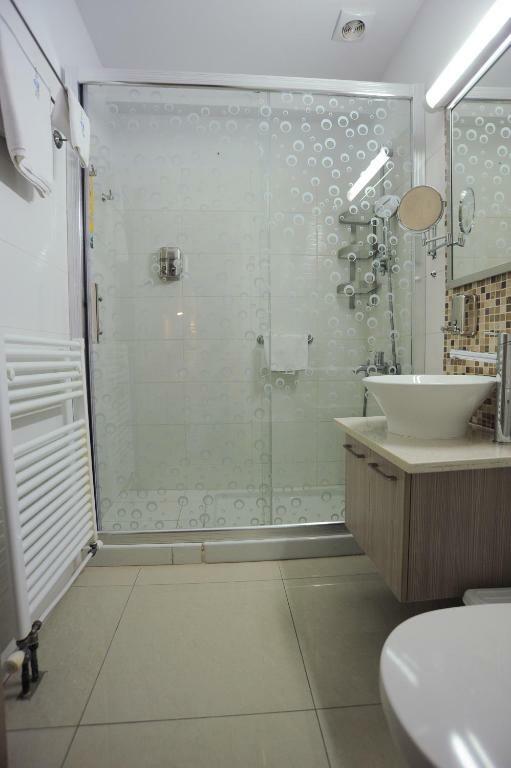 Free Wi-Fi, kitchenette, satellite TV and electronic safe box are all included. Modern, spacious suite with sea or inland view. It has a bedroom and a living room combined with kitchenette. Wi-Fi, electronic safe box, heating, air conditioning, satellite TV are all included. Kindly note that the child should be from 3 to 13 years old. Kindly note that the children should be from 3 to 13 years old. Modern, spacious suite with sea or inland view. It has a bedroom and a living room combined with kitchenette. 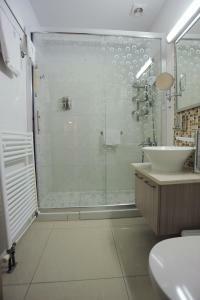 Wi-Fi, electronic safe box, air conditioning, satellite TV are included. Modern, spacious suite with sea or inland view. It has a bedroom and a living room combined with kitchenette. Wi-Fi, electronic safe box, heating, air conditioning, satellite TV are included. 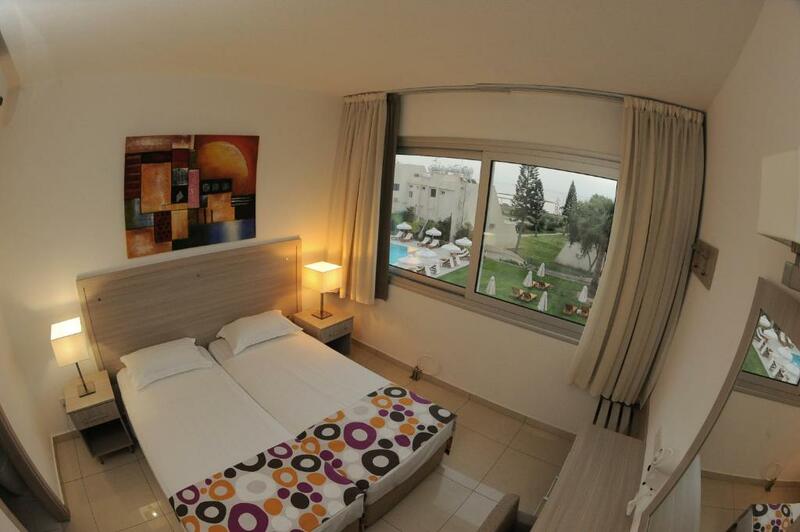 Small, cozy with a modern aesthetic Frixos Suites hotel is the ideal place to enjoy your holidays by the Larnaka bay. Being in Cyprus since 2010 and in Frixos hotel since 2011 I try to spend my free time in activities which improves me physically and mentally. Cycling, exercising, short trips in the mountains of Cyprus, swimming, diving are some of the activities I enjoy doing regularly. The sunny weather throughout the year gives you the opportunity of doing all these and even more! The hotel is only 100m far away from the beautiful beach of Yiannades in Voroklini. The beach is awarded with the Blue Flag and offers sun beds and umbrellas for rent as well as water sports activities. Lifesaving equipment is available on the beach every day from April to October, with lifeguards being on duty between 09:00 to 17:00 hours. In addition, the area has restaurants and shops where yo can spend your time. House rules Frixos Suites Hotel Apartments takes special requests - add in the next step! Free! Up to two children under 3 years stay free of charge for children's cots/cribs. Frixos Suites Hotel Apartments accepts these cards and reserves the right to temporarily hold an amount prior to arrival. Please note that group reservations can be arranged upon request. Please note that the remaining balance of the reservation is paid upon arrival. Room was too hot, but A/C was turned off and refused to turn it on. Told to open windows, but no fly screens in living room!! No Bath, soap and shampoo was from a dispenser with no conditioner. Fridge froze everything.. Gym was closed, all machines turned off. Breakfast was awful with coffee extra charge. Made to pay in full at check in!! Made to feel like you would run off without paying!! A number of our appliances didn’t work e.g hair dryer and importantly air con! We reported about air con and were told this was because it didn’t work until the 1 May which meant we had to have the window open and mosquitos bit us to shreds despite the netting. 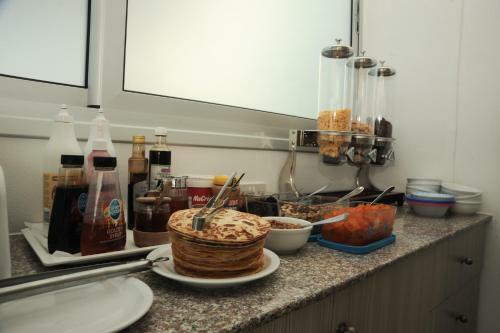 There could also be more items in the kitchen area (e.g more than 1 pan) to be able to make more use of the facilities. The breakfast didn’t always seem that fresh, it would be better (and create less waste I imagine) if items e.g. eggs were cooked to order. Staff were very welcoming and hospitable! The reception staff often went out of there way to help us! :) For example getting extra bedding and helping us book into tours! we came to Frixos on Thursday morning for 3 days. the hotel was very nice, clean rooms, very nice and helpful staff. the only thing was that it is about 12 minutes drive from city center which was a bit annoying for us because in the hotel area there's nothing to do in the winter (in the summer the beach is really close!). other than that they were great and the breakfast was also very nice. Highly noisy air-condition round the clock. No soundproofing overall. The apartments were cheaply furnished and the kitchen area sorely under-equipped. Breakfast was very basic. No real fruit juice, just squash and tasteless pre made, pre heated coffee. One of the warm options looked like a mixture of yesterday's leftovers. Complaints were not well received. We had some problems with the air conditioning, it was switching on when we didn't want specially during the night not leaving us resting as it was also quite noise we reported to the manager and the technician came but this was still happening every night. We also had horrible fried eggs smell coming in the room (not from outside) The area around the hotel is not very nice and the beach in front of the hotel isn't at the Cyprus standard. I would have loved having a sea view room but we have been given a car park view at the third floor and wasn't so pleasant so remember to ask for it in advance. The sea is really shallow but I got used to it quickly and still you can enjoy swimming in the depths. Friendly staff, clean apartments and premises, nice breakfast.